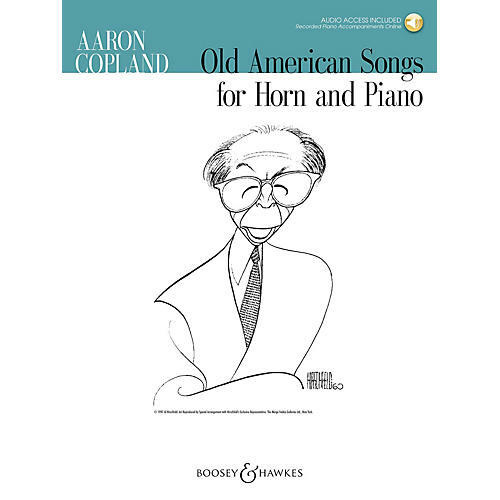 Aaron Copland's classic settings for voice and piano of 10 American folk songs have been transcribed for solo instrument and piano, with keys chosen especially for each instrument, and with adaptations suitable to the instrument. Contents: At the River · The Boatmen's Dance · Ching-a-ring Chaw · The Dodger · The Golden Willow Tree · I Bought Me a Cat · The Little Horses · Long Time Ago · Simple Gifts · Zion's Walls. Professionally-recorded piano accompaniments are available for streaming or download by using the unique code in each book.